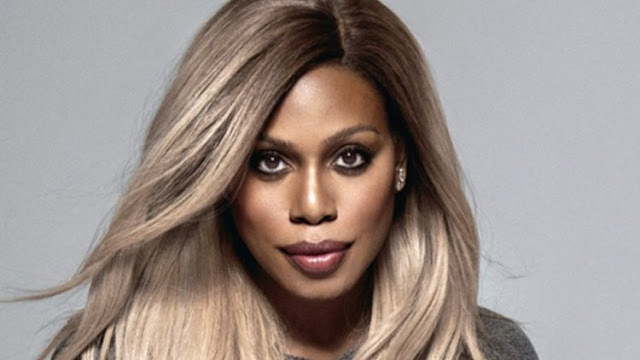 Laverne Cox is an American actress and LGBT advocate. She rose to prominence with her role as Sophia Burset on the Netflix series Orange Is the New Black, becoming the first openly transgender person to be nominated for a Primetime Emmy Award in the acting category, and the first to be nominated for an Emmy Award since composer/musician Angela Morley in 1990. In 2015, she won a Daytime Emmy Award in Outstanding Special Class Special as executive producer for Laverne Cox Presents: The T Word, which aired in 2014. This made her the first openly transgender woman to win a Daytime Emmy as an executive producer. The hour-long documentary executive-produced and narrated by Cox, premiered on MTV and Logo simultaneously. Also in 2015, she became the first openly transgender person to have a wax figure of herself at Madame Tussauds. In 2017, she became the first transgender person to play a transgender series regular on broadcast TV as Cameron Wirth on CBS's Doubt. Cox appeared as a contestant on the first season of VH1's reality show I Want to Work for Diddy, and co-produced and co-hosted the VH1 makeover television series TRANSform Me. In April 2014, Cox was honored by GLAAD with its Stephen F. Kolzak Award for her work as an advocate for the transgender community. In June 2014, Cox became the first openly transgender person to appear on the cover of Time magazine. 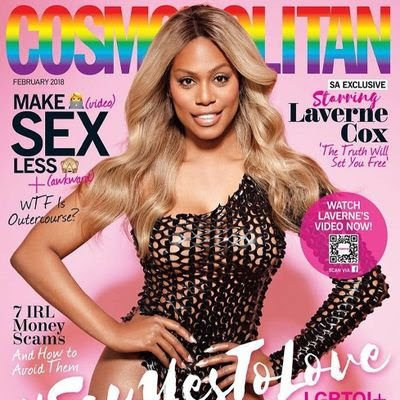 In February 2018, Cox became the first openly transgender person to appear on the cover of any Cosmopolitan magazine (specifically, Cosmopolitan South Africa). Cox was born in Mobile, Alabama, and was raised by a single mother and grandmother within the AME Zion church. She has an identical twin brother, M Lamar, who portrays the pre-transitioning Sophia (as Marcus) in Orange Is the New Black. Cox stated she attempted suicide at the age of 11, when she noticed that she had developed feelings about her male classmates and had been bullied for several years for not acting "the way someone assigned male at birth was supposed to act." She is a graduate of the Alabama School of Fine Arts in Birmingham, Alabama, where she studied creative writing before switching to dance. She then studied for 2 years at Indiana University Bloomington before transferring to Marymount Manhattan College in New York City, where she switched from dancing (specifically classical ballet) to acting. During her first season on Orange Is the New Black, she was still appearing at a restaurant on the Lower East Side as a drag queen (where she had applied initially to work as a waitress). 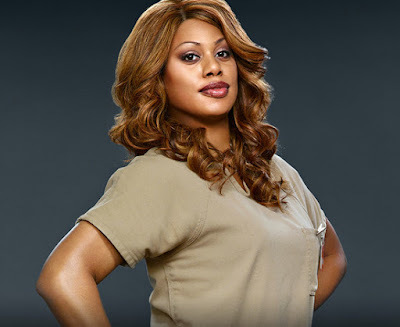 In 2013, Cox began her recurring role in the Netflix series Orange Is the New Black as Sophia Burset, a trans woman sent to prison for credit card fraud. In that year, she stated, "Sophia is written as a multi-dimensional character who the audience can really empathize with—all of the sudden they're empathizing with a real Trans person. And for Trans folks out there, who need to see representations of people who are like them and of their experiences, that's when it becomes really important." Cox's role in Orange Is the New Black provides her a platform to speak on the rights of trans people. In 2014, Cox joined a campaign against a Phoenix, Arizona law which allows police to arrest anyone suspected of "manifesting prostitution," and which she feels targets transgender women of color, following the conviction of activist (and transgender woman of color) Monica Jones. Cox stated, "All over the country, trans women are targeted simply for being who they are. Laws like this manifestation law really support systematically the idea that girls like me, girls like me and Monica, are less than [others] in this country." Laverne Cox has been noted by her LGBT peers, and many others, for being a trailblazer for the transgender community, and has won numerous awards for her activist approach in spreading awareness. Her impact and prominence in the media has led to a growing conversation about transgender people, specifically transgender women, and how being transgender intersects with one's race.